04 March 2017, WHILE most people see the casting of a ballot as the major election event, capacitating the media to be free from influence of owners, politicians and business so that citizens can be well-informed is more important, TellZim News has learnt. At an Editors' Accountability Meeting convened by the Voluntary Media Council of Zimbabwe (VMCZ) last Thursday in Harare under the theme: Media, Elections and Ethics, there was consensus that there was need to ensure the media could carry out its Fourth Estate role of making sure citizens are informed. Workshop facilitator, Reyhana Masters talked about the need for a medical insurance for journalists in case they got injured in conflict situations, encountered during election rallies. VMCZ Ethics Committee Chairperson said that the media "have to go beyond get well cards and flowers" and put in place a real fund to assist journalists. Election Resource Centre Programmes co-ordinator, Jack Zaba, said that though Zimbabwe had good laws, implementation was rather iffy. "We have good laws but bad practice, there is no political will to implement these laws. We have laws guaranteeing freedom of expression, but journalists still get harassed during elections," he said. VMCZ Director Loughty Dube said that the issue of journalists' safety was being looked into. "As the VMCZ and various other partners, we are seized with the safety of journalists, and we are looking into it. Journalists themselves should also be proactive in ensuring their own safety," Dube said. Editors also raised the concern on costs of election coverage, whereby most media houses didn't have resources to cover the whole constituency, let alone the whole country. This makes it difficult for media to identify trends and malpractices, especially in remote areas. Furthermore, journalists are sometimes ferried to rallies by political parties, which makes it difficult for them to write negative news about such a party. 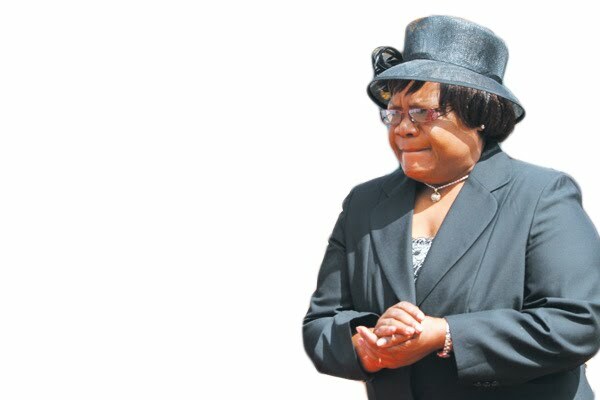 "NGOs have to assist, by for example, hiring a car for all reporters in Masvingo to go cover a certain rally," she said. Sunday News Editor Limukani Ncube pointed out that though media houses would want to inform citizens, as their normative role, but were inhibited by so-called no-go zones. Zimbabwe Election Support Network (ZESN) Programmes Co-ordinator, Ellen Dingani, said that there was need for media houses to have capacity to collate election results on their own. "In countries such as South Africa and Malawi, media houses, besides doing parallel votes tabulation, can even announce results before electoral authorities. In Zimbabwe announcing is for the Zimbabwe Electoral Commission (ZEC), but there is also need for media houses to have records," she said. VMCZ Chairman, Njabulo Ncube, who was throwing witty remarks here and there, weighed in with another one, saying: "It's not the person who casts the vote who matters, but the one who counts the vote," to laughter of those present. Nigel Nyamutumbu, from the Media Alliance of Zimbabwe said that as an organisation they were working out ways to help media houses. "Media houses need to have election coverage strategies, and as the Media Alliance of Zimbabwe and other development partners we have to make sure we assist. We cannot keep repeating the same mistakes," he said. Media Monitoring Project of Zimbabwe (MMPZ) Director, Patience Zirima, decried the way female politicians are trivialised in the media.